Why Sri Lanka and why now? The Commonwealth Businesswomen’s Network (CBW), in collaboration with the Ministry of Industry and Commerce, Government of Sri Lanka, is bringing a trade mission to meet key officials and potential business partners to Sri Lanka. Trade missions are about opening doors, developing long-term trade and investment opportunities and also learning first-hand about target export markets and this visit provides a unique opportunity to connect with the right people. However CBW’s discussions with UNCTAD amongst others suggest that women are typically under-represented on a too many trade missions. This will now begin to change with the CBW Trade Programme announced at the Commonwealth Trade Symposium in front of senior trade officials from 22 countries in June 2015 in which trade missions of women entrepreneurs or female corporate executives are planned to every Commonwealth member state by 2025. The first trade delegations were to Malaysia for the World Islamic Economic Forum and to Malta for the CHOGM Business and Women’s Fora both in November 2015. This is now followed by Sri Lanka with the first Commonwealth Businesswomen Multilateral Trade Mission. This is especially relevant with the latest World Bank forecasts which highlight the shift from developing countries to being engines of growth following the financial crisis to a more difficult economic environment. Intra-Commonwealth trade continues to rise and will surpass US$1 trillion by 2020. This is what the Commonwealth Economic Effect means today. The key is how to harness it and providing the opportunity and impetus for women to connect, collaborate and engage in international commerce is a concrete way of doing do. The Commonwealth Businesswomen’s Network (CBW) is the only accredited organisation focused on women’s economic empowerment and recognised by 53 governments. As a key component of its ‘3 Ts’ agenda of trade, training and talent, it is initiating the first ever Commonwealth Businesswomen Multilateral Trade Mission which will be to Sri Lanka during its term as Commonwealth Chair-in-Office. This is innovative in three key respects – in comprising of upto about 3 participants from a range of countries from different regions; with all countries being Commonwealth member states; and consisting of women entrepreneurs or women in corporate roles. This delivers value in three ways – by bringing a small number of businesswomen from different countries together to facilitate opportunities in destination markets; developing collaborative contracting opportunities to access procurement tenders; and leveraging the Commonwealth Economic Effect. All this reinforces Sri Lanka’s potential both as a market and a gateway, trading and a logistics hub for South Asia, a market of over 1.6 billion with established Free Trade Agreements with India and Pakistan, the two largest Commonwealth member states. Sri Lanka is a market of 21 million people, South Asia is fast becoming home to the world’s largest economically active population with a growing middle class of 450 million people, the biggest concentration in any three bordering countries and with a growing and increasingly important business diaspora in established and emerging markets. 80% of Sri Lanka’s GDP is contributed by SMEs out of which around 10% are led by women in a country which gave the world its first female Head of Government in 1960 after women achieving the right to vote in 1931 and where the female literacy rate is 99% (higher than the UK). Sri Lanka was one of the founder members of the modern Commonwealth in 1949. Colombo is the Asia hub for the Commonwealth Businesswomen Academy module on entrepreneurship. 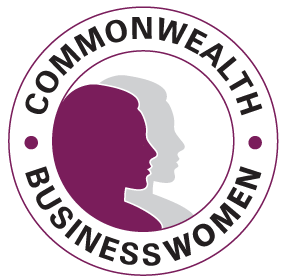 The registration cost for the mission is £350 which includes Silver membership of the Commonwealth Businesswomen’s Network (CBW) for one year which provides a range of benefits including discounts on future trade missions. The registration cost for the mission is £350 includes full access to the Sri Lanka Investment and Business Conclave and an exclusive complimentary programme. This has deliberately been set as a modest level and should be seen as an investment in business development and internationalisation as well as part of a market penetration strategy. Participants are expected to meet their own travel and accommodation costs or seek support from their national trade support agency where necessary. Discounts are available for members of Commonwealth accredited organisations such as the Commonwealth Enterprise and Investment Council (CWEIC), the Commonwealth Association of Architects, the Commonwealth Lawyers Association and the Commonwealth Fashion Council. Participants are being identified and invited by High Commissions and CBW Regional Partners. All size businesses will be welcome though the orientation will be on SMEs. A pre-departure briefing will be held locally involving the High Commission and CBW Regional or ground partner where possible. There is an Early Bird Offer of £299 until 31 January 2016. Participants will need to obtain an Electronic Travel Authorization (ETA) for from Sri Lanka Overseas Missions which are normally issued within 3 business days. On the basis of reciprocity, citizens of Maldives Seychelles and Singapore are exempt. We are working with Etihad Airways to provide special airline rates but the period is off-peak and fares on other carriers including One World partner Sri Lankan Airlines are competitive. There are several services daily on Emirates and Sri Lankan Airlines from Dubai. Accommodation will be at the centrally located Colombo City Hotel which was one of the preferred hotels during CHOGM in 2013. CBW has secured an exclusive rate of £50 per night net including breakfast and wifi. The new expressway links Colombo and the major international airport within 15 minutes.